Popular destination countries like Cyprus, Spain and Australia have programs that offer a path to citizenship or permanent residency -- for those who can afford to pay up. Right now, immigrant investor programs are available in about 20 countries around the globe, including the U.S., Europe, and island nations in the Caribbean. More are on the way, especially as countries still reeling from the global financial crisis seek to energize their economies. While some individuals can maintain their citizenship status with their home countries, others from nations that do not allow dual citizenship must turn in their passports in order to adopt a new country. Related: Where are the super rich? In recent years, "there have been many countries offering investment immigration targeted at wealthy individuals," according to a report by Arton Capital, which advises governments and individuals regarding such programs, and Wealth-X, a research firm. "As a pure investment, some of these programs are very attractive to ultra high net worth individuals." That's because the programs are quite affordable for the world's uber rich. Required investments range from $500,000 to several million dollars and are often "a very small fraction of someone's net worth," said Mykolas Rambus, CEO of Wealth-X. Bulgaria, for example, requires investors to hold $700,000 in government bonds for five years, while St. Kitts & Nevis in the Caribbean mandates a $400,000 investment in real estate or the nation's sugar industry. Other countries demand hefty property purchases, putting a few million on deposit in a domestic bank or into projects that support job creation. A decade ago, only a handful of these programs existed. Now, as new countries join the fray, roughly 20,000 rich individuals are rushing to apply each year, often in hopes of preserving their wealth. While lower income taxes are sometimes a plus, some applicants are also looking to avoid inheritance taxes. Over the next three decades, the children of the super wealthy are set to inherit more than $16 trillion. Other incentives include access to better education, a desire to escape political instability, visa-free travel to more countries or higher standards of living, said Armand Arton, president of Arton Capital. In extreme cases, the craftiest individuals may even be able to avoid taxes by bouncing around the globe armed with multiple citizenships and residence permits. It's possible to "spend a number of days here, a certain number of days there -- and if you keep moving around, you never establish a long-enough term to be subject to permanent taxable residency," said David Kuenzi, founder of investment advisory Thun Financial. Most immigrant investors are coming from the Middle East, followed by India and China, Arton said. And more rich Russians have inquired about such programs lately, given political instability in that region. Europe remains the most popular destination, followed by island nations in the Caribbean -- where some countries levy no personal income, capital gains or inheritance tax. While those two regions are popular with investors from the Middle East, the Chinese seem most drawn to the American Dream, Arton said. 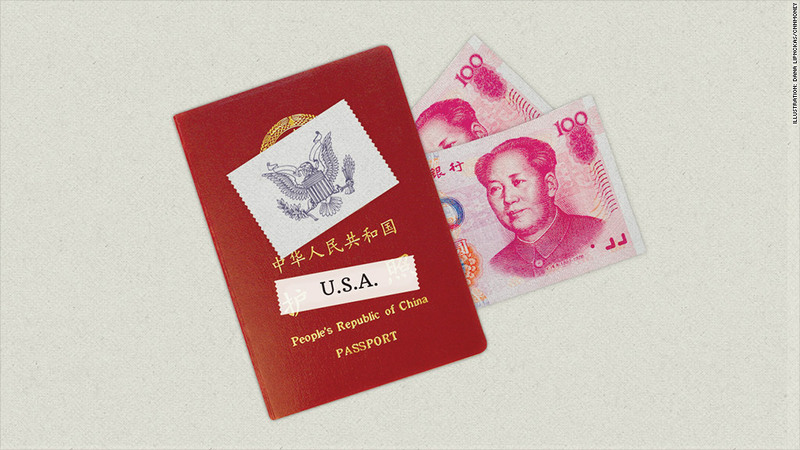 The U.S. program is also attractive as it offers a green card, a better alternative for the Chinese, who are barred from having dual citizenship. In fact, the Chinese now account for 80% of the U.S. immigrant investor program, according to a CNNMoney analysis of U.S. government data. "Those who are globally minded who have quite a bit of wealth -- this is becoming a must-have," Rambus said.